Is Kate Hudson really 35? She looks like she can still give women much younger than her age a run for their money. The actress belied her real age in this lovely day time look a few days ago. Kate was seen wearing a grey cropped top (sans bra!) 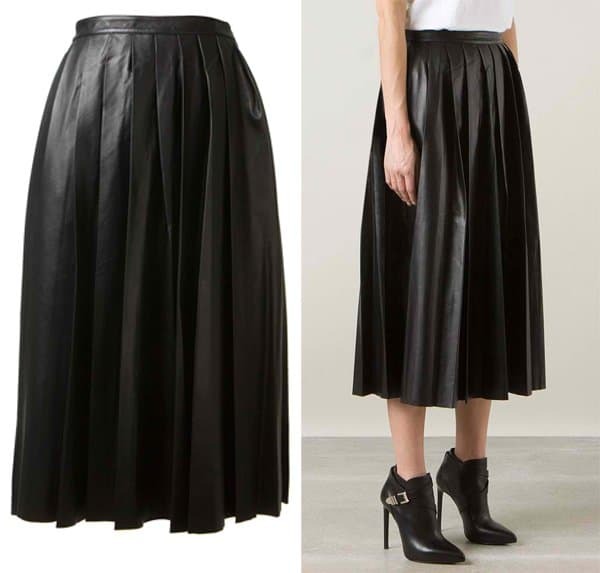 with a pleated leather skirt – a contemporary pairing that is fast becoming classic. We don’t know about you ladies but we typically want to sidle away from anything leather when the weather is scorching outside. But this outfit proved that it can work. 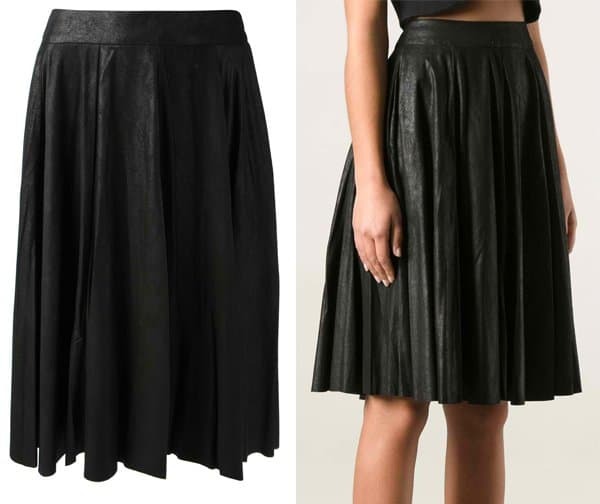 Take a pleated leather skirt just like Kate’s, with lots of volume so your thighs will still feel comfortable, and wear it with a cropped tank top. Go for a simple color palette to keep the outfit sleek and minimal. Copy the Bride Wars actress’ styling too! She accessorized with a pair of Ray Ban 3025 112/17 Aviator Flash Lenses Sunglasses, a Chanel Reissue Camera Bag and a pair of white pumps for an elegant finish. Don’t write off leather skirts for summer just yet. Easy outfits like Kate Hudson’s will still be perfect! Who Looks Best in Louis Vuitton: Sophie Turner or Caitriona Balfe?